SDC Unlimited Martial Arts: Must be aged 13 and older. Unlimited group classes per week. Included in package: (1) SDCU uniform, complete sparring gear, VSK First Things First DVD, Masters In Training Level 1-3 DVD, (1) Black Belt Club patch and SDC New Member's Guide. Youth Enrollment Fee - $450. Monthly Tuition Payment - $260. Adult Enrollment Fee - $550. Monthly Tuition Payment - $300. SDC Premium Martial Arts: Must be aged 12 and older. Up to three (3) classes per week. Included in package: (1) SDCP uniform, Masters In Training Level 1-3 DVD, SDC New Member's Guide. Youth Enrollment Fee - $380. Monthly Tuition Payment - $200. Adult Enrollment Fee - $460. Monthly Tuition Payment - $250. SDC Little Tigers Martial Arts: Ages 4-5 years. Two (2) 45-minute classes per week. Included in package: Standard uniform and SDC New Member's Guide. Enrollment Fee - $199.95 Monthly Tuition Payment: $89.95. SDC Family Martial Arts (3 Children): Enrollment Payment - $679. Monthly Tuition - $314. Add $80 for each additional member. SDC Family Martial Arts (1 Adult - 2 Children): Enrollment Payment - $724. Monthly Tuition - $339. Add $80 for each additional member. SDC Family Martial Arts (2 Adults - 1 Child): Enrollment Payment - $790. Monthly Tuition - $380. Add $80 for each additional member. SDC Family Martial Arts (3 Adults): Enrollment Payment - $835. Monthly Tuition - $405. Add $80 for each additional member. 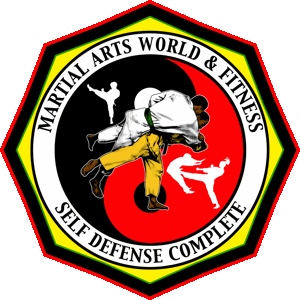 SDC Martial Arts (6) Months: One time payment of $1,100 or two payments of $645. Included in package: uniform and new member's guide. SDC Martial Arts (3) Months: One-time payment of $750 or two payments of $400. Included in package: uniform and new member's guide. 1 Trial Lesson: One-time payment of $10.00. No uniform required. 1-Week Unlimited Pass: One-time payment of $29.95. No uniform required. Personal Fitness Training: Age requirement 12 years & older. Four (4) session minimum. (4) sessions - $360. (8) sessions - $675. (12) sessions - $990. (16) sessions - $1,305. 50% deposit required. Program includes meal recommendations. Cardio-Kickboxing Classes: For women and girls ages 13 & older. Two (2) classes per week. Enrollment fee - $175. Monthly payment - $80. SDC Pain Compliance Course: Age requirement 12 years & older. 2-day course. Level 1 Course fee - $200 per participant. VSK Jiujitsu Private Lessons: Age requirement 8 years & older. Four (4) hours per month minimum. Train with either Junior Instructor - $35 per hour. Black belt instructor - $60 per hour. The Shihan - $90 per hour. VSK Jiujitsu One (1) Day Per Week: Age requirement 6 years & older. Youth enrollment fee - $195. Monthly tuition - $95. Adult enrollment fee - $295. Monthly tuition - $125. SDC Group Training Programs: No previous martial arts training necessary. Group Training Programs (GTP) four (4) 1-hour classes. Minimum group - 6 participants. Course fee - $150 per participant. SDC Apprentice Program: No previous martial arts training necessary. Apprentice Program (AP) 1,000 hours. Minimum age - 18 years. EARN A BLACK BELT IN VSK JIUJITSU IN 36 MONTHS. Call for details.